Beatrix Ong was commissioned by Wallpaper* Magazine to participate in their iconic Handmade issue for 2016. “Storing shoes is always somewhat challenging in terms of space and aesthetic." 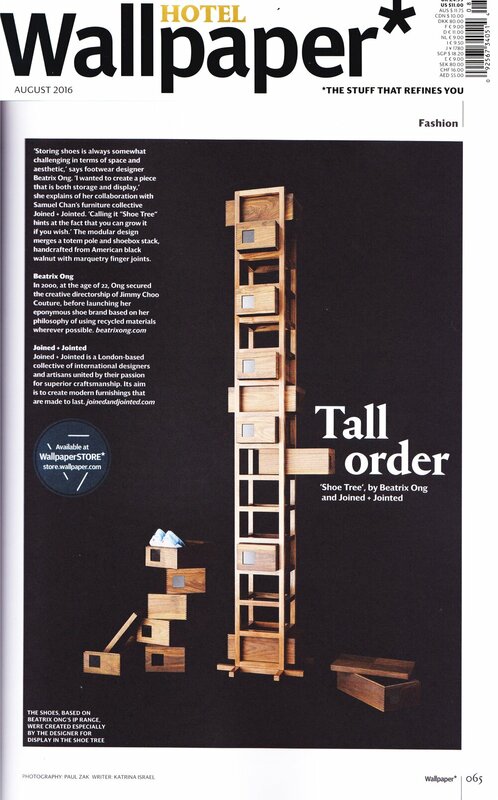 says British designer Beatrix Ong, "I wanted to create a piece that is both storage and display." she explains of her collaboration with Samuel Chan's furniture collective Joined + Jointed. "Calling it 'Shoe Tree' hints at its ability to also grow if you wish." 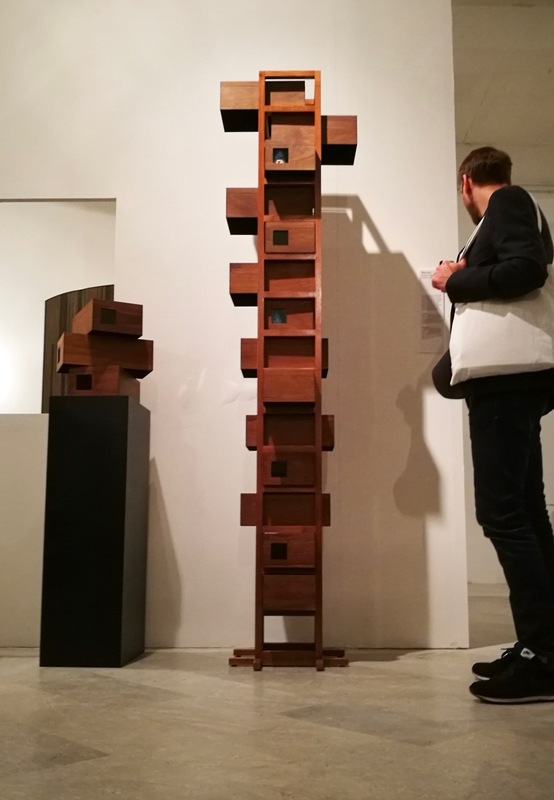 The modular design merges a totem pole and shoebox stack, handcrafted from sustainable American black walnut with marquetry finger joints. "Boxes are intriguing. They hold surprises, and invite discovery", says Chan. "They are also very useful: they bring order to our lives." Joined + Jointed was founded by British furniture designer Samuel Chan, who has been designing and making furniture for more than 20 years through his eponymous studio, Channels. Both in his own right and through Joined + Jointed, Samuel is the recipient of an unprecedented 13 Design Guild Marks. He was named Furniture Designer of the Year at the British Homes & Gardens Design Awards 2015. The set and boxes are available to purchase at Wallpaper* Store.